Various photos from one of the most beautiful mountain ranges on earth. 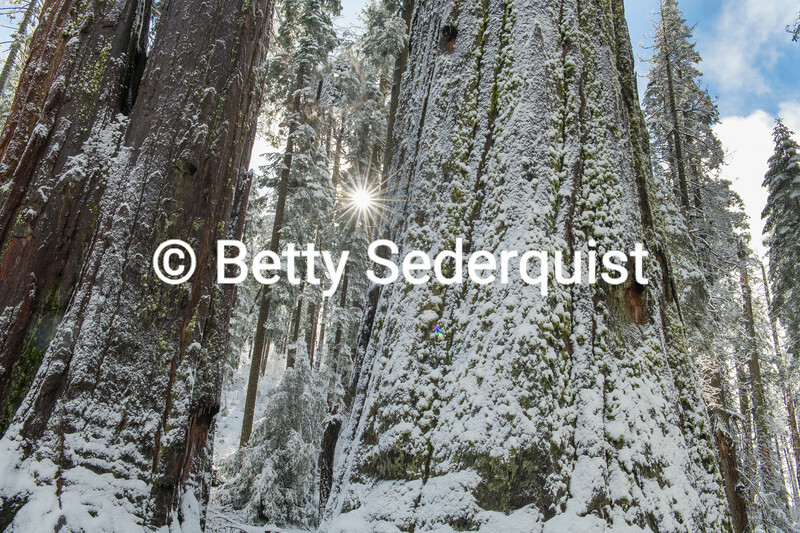 Fresh snow covers the base of this giant sequoia redwood in Calaveras Big Trees State Park. A sunburst peeks through the trees.